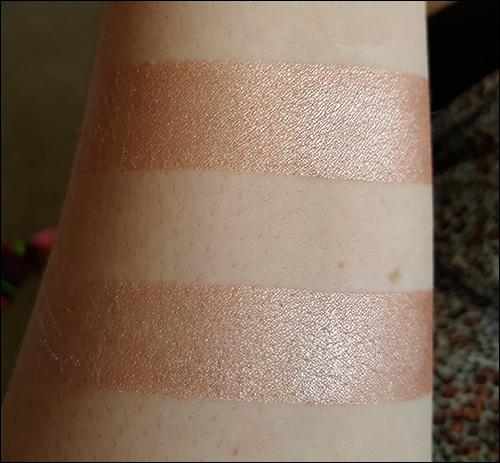 I'm back with swatches on the rest of the Uponaworld seasonal collections! Here is my review of the fall and winter sets in case you missed it. For sake of not sounding repetitive, the formula on these is good - They perform similarly over regular primer and Darling Girl Glitter Glue. They also blend out nicely on the eye. 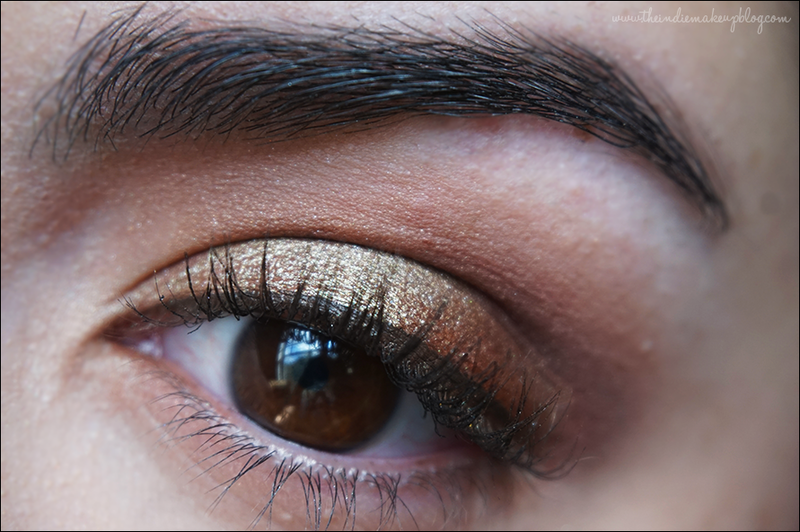 For this look, I used Golden Trillium lightly as a transition shade, Bud of Life over NM Shadow Bind on the lid, Dried Hydrangeas in the crease, and Cool Mornings as an inner corner highlight. 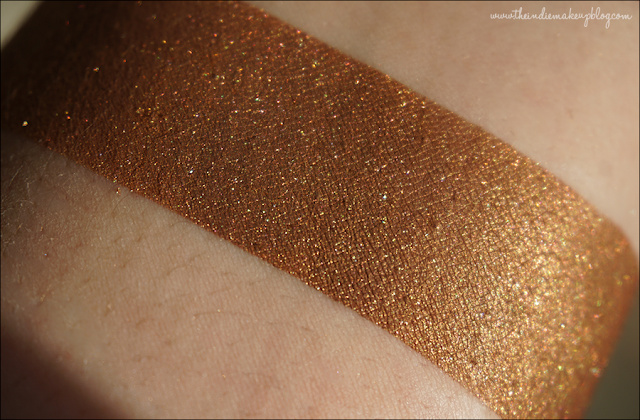 Bud of Life is a gorgeous reddish brown with heavy green shimmer. 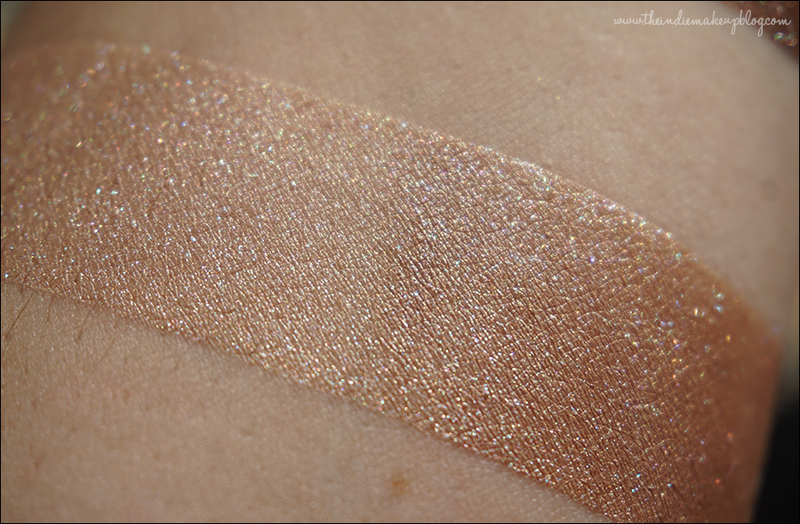 On my eyes over a sticky base, the shimmer becomes a golden green shift. I love this one and I think it's the must-have of this collection. Cool Mornings is a light beige with green and blue micro-sparkle. It applies mostly as a satin finish. Golden Trillium is a rusty orange base with heavy golden shimmer. 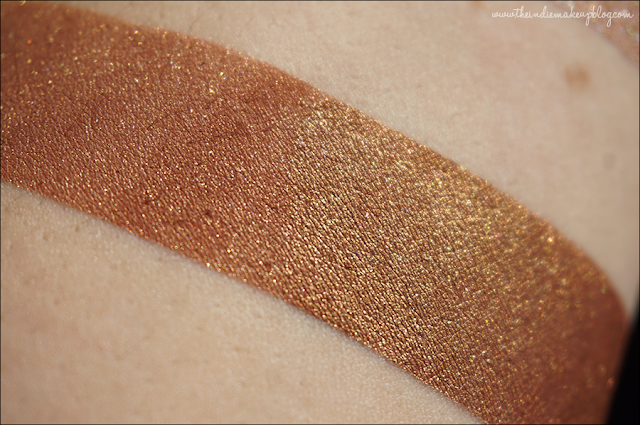 This shade is the only one in these palettes that really needed a sticky primer to pop. It blended out easily in my crease. 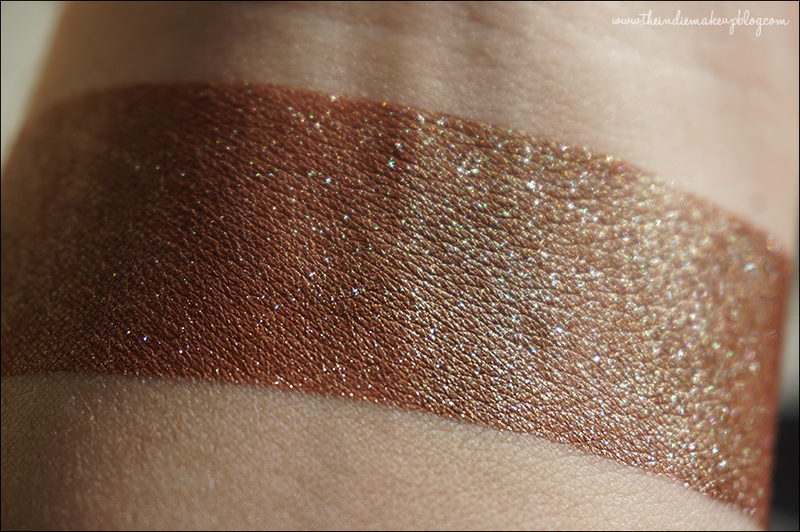 I'm definitely going to be giving this a go as a lid shade soon though; the golden shimmer is beautiful. Dried Hydrangeas is a warm chocolate brown with slight shimmer. 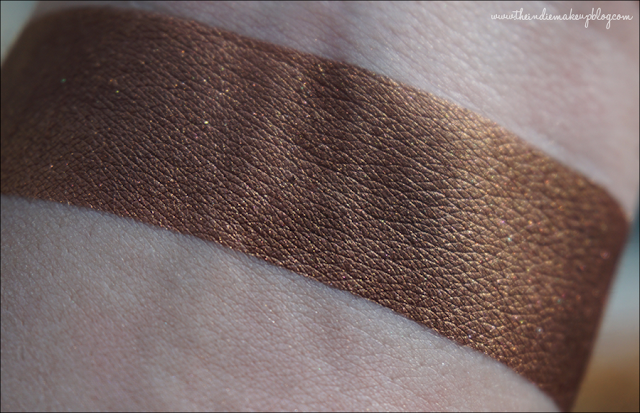 This is a nice deep brown that would look good blended into the crease or foiled as a liner. 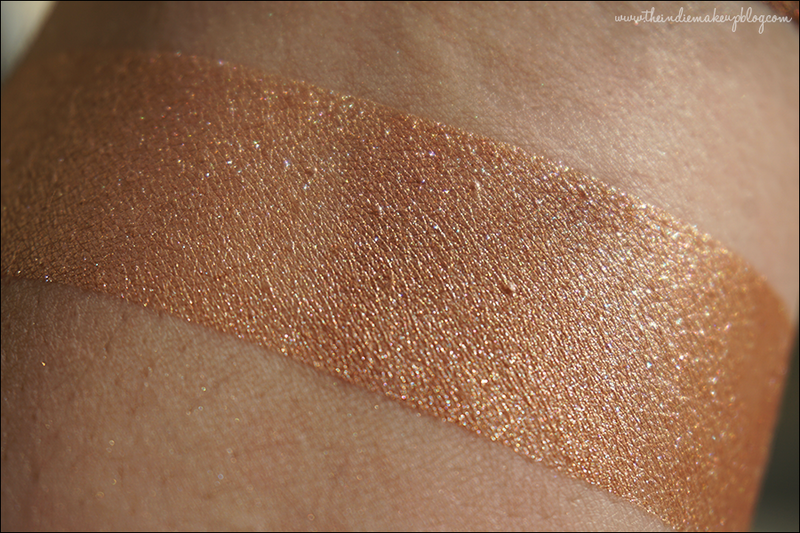 Sandy Beach is a muted warm gold with micro-shimmer. Golden Sun is another warm gold with microshimmer. It's ever so slightly darker and less warm than Sandy Beach but they're nearly identical. They're pretty, but that's kind of a bummer since they make up 2 of the 4 shades in this set. Sandy Beach on top, Golden Sun on the bottom. 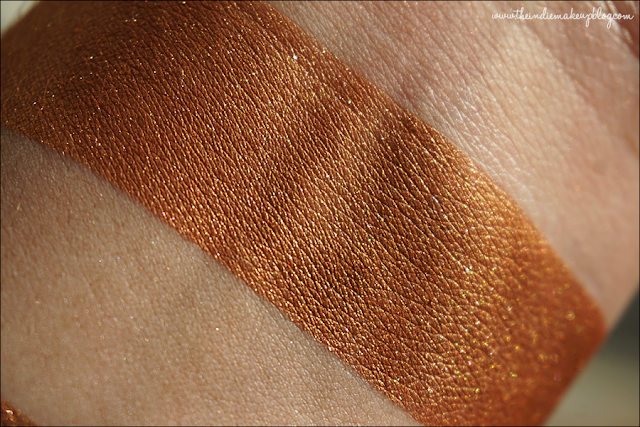 Bitten Peach is a brown toned orange with golden shimmer. 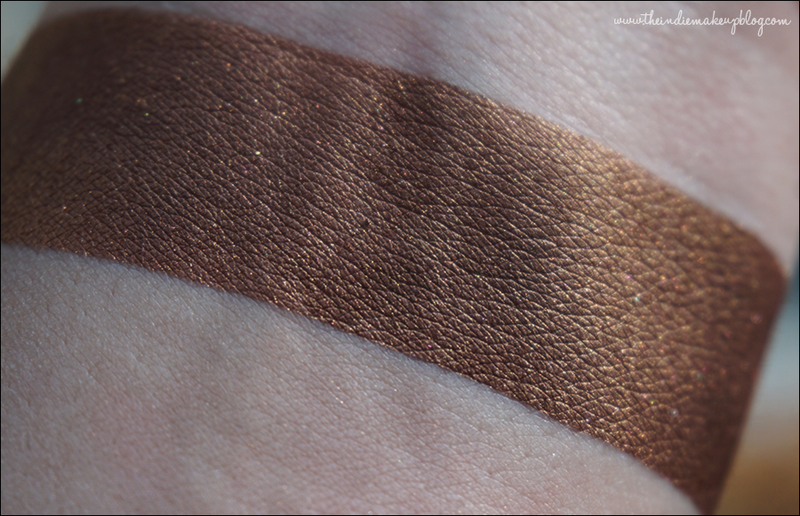 This actually makes a great color for fall. 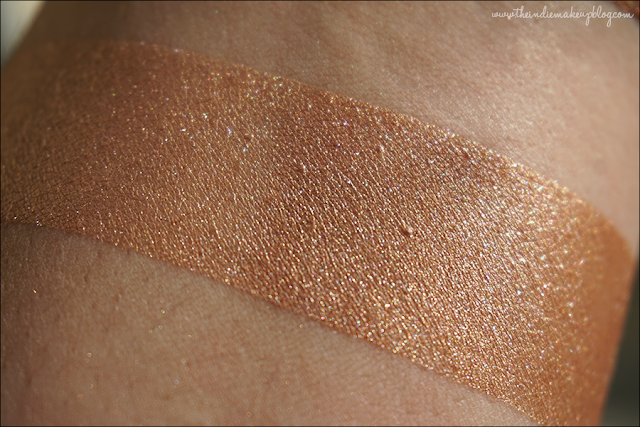 Sun Kissed Skin is a medium golden brown with multicolored shimmer. I don't love the Summer palette as much as the others. Sandy Beach and Golden Sun are too similar to comprise half the set. I would of loved to see a white gold with shimmer in this set to distinguish it from the other light neutral. The Spring set is really pretty, I especially love Bud of Life and Golden Trillium. I know Uponaworld just came out with a new collection that has some nice pops of color so I'm excited to try out some of their non-neutrals! If you're interested in these palettes as a pressed set, Manuela will be selling the rest that are left on Black Friday, along with her J Fashion palettes. Otherwise they will continue to be sold as loose products. I think for being a relatively young shop, Uponaworld has landed upon a good formula and the lineup provides a lot of work-appropriate shades. 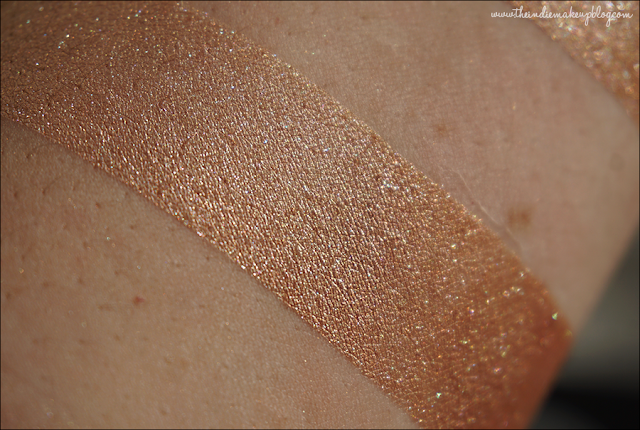 They apply well over regular primer and for the most part aren't too sparkly. I'm looking forward to trying their more funky colors.